This is a repost from last spring because this pie is so wonderful! I’ll just admit it. I am not so much a pie maker. Perfect crust tends to elude me, and the tops of my pies are usually cattywampus and slightly caved in. That’s ok with me, though–as long as they taste good. And the ice cream doesn’t seem to mind, either. 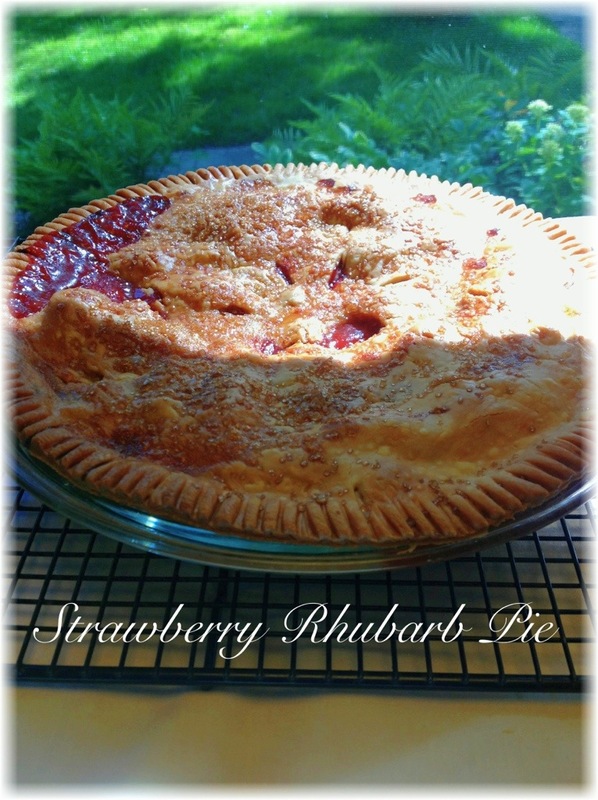 This pie is the last in my experiments with rhubarb. It was sticky, sweet, tart and perfect with vanilla ice cream (or soy cream). It puts to shame those imposter pies that beckon to you in the grocery with their too sweet filling and their bland crusts. I think strawberry rhubarb pie is just like spring–fresh, slightly awkward, and gone too soon. Yum. In a large bowl, mix berries, rhubarb, sugar, flour, tapioca, cinnamon, zest and lemon juice. Toss well and set aside. In a 9″ pie plate, unroll one of the pie crusts. Pat into the plate. Pour the berry mixture into the pie crust. Cut the butter into cubes and sprinkle on top of the berries. Beat the egg white with 1 tablespoon water. Brush the edges of the pie crust with the egg wash.
Top with the second pie crust. Crimp the edges of the pie and trim excess crust. Brush the egg wash over the pie crust. Cut slits in the top to vent steam. Sprinkle top with turbinado sugar. Bake the pie for 15 minutes. Reduce heat to 350 and bake for 50 minutes more. I am baking one of these this weekend! Yay! Don’t you love fresh strawberries?